Attention commuters and working families! 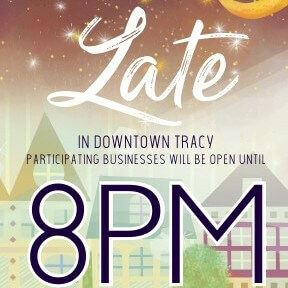 Select businesses in Downtown Tracy have committed to extending their business hours on Thursday nights to 8pm. This will allow for you to stop by on your way home or after dinner! 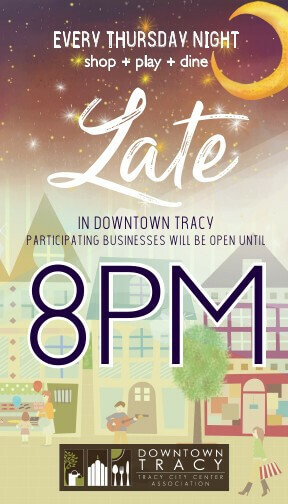 Stop by, explore Downtown Tracy, and say hello! Remember- Shop Small and Stay Local!